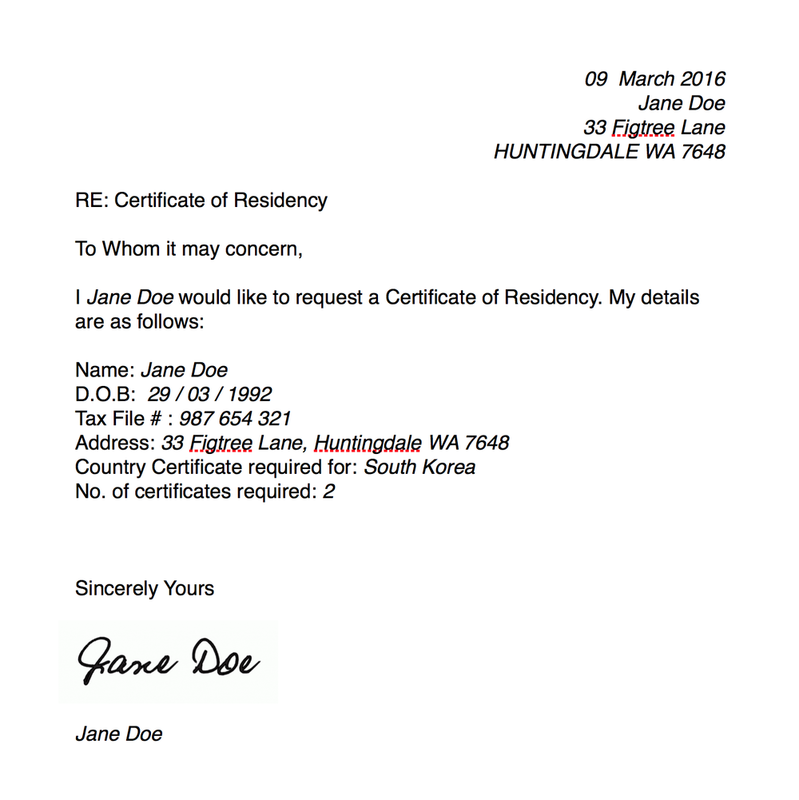 A "Certificate of Residency" is a document supplied by the Australian Taxation Office (ATO). It is issued to Australian residents to prove to foreign tax authorities that they are an Australian resident for income tax purposes." If you are travelling Overseas you will need a 'Certificate of Residency'(COR). Having a certificate of residency prevents you from having to pay taxes overseas whilst you are working there. Instead you will be expected to pay tax on your overseas earnings when you return back to Australia (Or other country of Origin). If you are Australian, obtaining a 'Certificate of Residency' is a fairly easy process. I recommend getting a few at the same time if you are planning on travelling to a few places overseas for work. A COR will last for 1 year from the date of issue. If you are going to a country over the time the COR ends, you will need to have a new certificate issued for you. Most agencies will require to have a copy of your COR on file for their reference before you arrive in that country. If you do not have a COR the agency will have to take your foreign taxes from your income as they have a responsibility to do so. So you could end up paying tax twice. Your agency will likely expect you to request your own 'Certificate of Residency' so I have included instructions below. You will need to type or handwrite (clearly printed) the template below, with the italic words changed to your own details. Please note: The address you write will be the address your certificate/s are sent to when they are ready for you. I recommend requesting at least 2 certificates for each country, your overseas agency will likely want a hard copy, or your mother agent will. You will also want to keep a hard copy for your records for when tax time comes around. If you have any further questions about CORs, I have included a link to the appropriate page on the ATO website here. Let me know if this page was helpful, leave a comment below!